US Sponsored “Color Revolution” in Russia? In St. Petersburg? 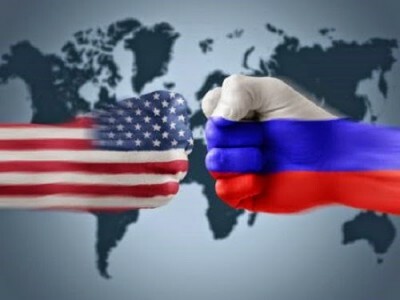 The announcement by Barack Obama on July 31st to appoint John F. Tefft as the new U.S. ambassador to Russia is a warning to the Russian government of the intensions of western foreign policy planners. Tefft, who has worked for the State Department and the National War College in Washington, is an expert at planning colour revolutions to overthrow regimes targeted by the western elite. He is the former U.S. ambassador to Ukraine where he was a key architect in preparing the Washington orchestrated coup in Kiev. Colour revolutions are based upon a fusion of the Rand Corporations “swarming” technique invented in the 1960’s and Professor Gene Sharp’s guide to nonviolent struggle in the 1990’s. Non-governmental organisations (NGOs) act as an extension of western intelligence agencies to create artificial revolutionary movements in countries that oppose Anglo-American hegemony through the use of social networks and text messaging, resulting in the overthrow of unfavorable regimes. They always appear as organic demonstrations by a people against a corrupt ruling class, which is reinforced and sometimes manufactured by the mainstream corporate media, but in reality they are organised by foreign NGOs – like in the case of the Centre for Applied Nonviolent Actions and Strategies (CANVAS), a U.S supported Serbian based “revolution consultancy” group, which was operating in Ukraine during 2013-14. The 2000 coup in Serbia, the 2003 Rose Revolution in Georgia and the 2004 Orange Revolution in Ukraine are some of the most notorious coups where this technique has been used. The most experienced NGO that has been involved in the majority of the colour revolutions over the past two decades is the ubiquitous National Endowment for Democracy (NED), whose “funding is dependent on the continued support of the White House and Congress”. The historian Allen Weinstein, who helped draft the legislation in the 1980’s creating NED, remarked during an interview with the Washington Post in 1991: “A lot of what we do today was done covertly 25 years ago by the CIA”. Carl Gershman, the President of NED, wrote in an op-ed for the Washington Post in September 2013 that: “Ukraine is the biggest prize”, a few months before his organisation was heavily involved in orchestrating protests in Kiev. Along with fellow regime changing organisations such as George Soros’s Open Society Foundation (OSF) and U.S. Agency for International Development (U.S. AID), NED controls proxy organisations across the globe. One Russian based organisation is the ‘Freedom of Information Foundation’ (FIF), which was founded by Ivan Pavlov and is based in St. Petersburg, whose chief supporters are NED, OSF and U.S. Aid. On 19th August, the Russian government expelled the wife of Pavlov due to Russian allegations of her promoting the “overthrow of the constitutional order”. Putin himself has acknowledged the threat to Russian security presented by western NGOs in a speech to the Federal Security Service (FSB) in April, asserting than many NGOs serve “foreign national interests”. U.S. Aid was also expelled from Russia in 2012 due to what the Russian foreign ministry said were “attempts to influence political processes through its grants”. Relations between Russia and the west are at their most strained since the height of the Cold War, with the Russian President coming under relentless attack by U.S. and EU politicians over Ukraine – Hilary Clinton went as far as to compare Putin to Hitler. It is clear that the western elite are determined to overthrow Putin in Moscow, and replace him with a more subservient, pliant and less nationalist leader who will be more willing to bow to the dictates of Washington, London and Brussels. Putin’s Russia provides a counterweight to Anglo-American hegemony, although he has flirted with the western elite on occasion. I am no apologist for Putin or the Kremlin but the west has clearly been the belligerent force on the international stage since the collapse of the Soviet Union. The eastward expansion of the North Atlantic Treaty Organisation (NATO) into former Warsaw Pact countries as part of a wider strategy of encircling Russia is a highly provocative tactic. In a recent article titled ‘The Dangerous Mr. Putin’, neo-con war hawk and former State Department official David J. Kramer blames Putin for the crisis in Ukraine and he asserts that: “This makes Putin, and now even Russia, a serious threat”. Kramer is the President of Freedom House, an organisation which is connected to NED and has been involved in numerous colour revolutions across the planet in the past. A Colour Revolution in Russia? Medvedev may be the weak link within the Russian establishment as he was the chair of the Institute of Contemporary Development Board of Trustees in 2008, an organisation that is part of the Council on Foreign Relations (CFR)’s ‘Council of Councils’ program. If Medvedev is still part of this organisation it could prove decisive in the coming years, as the CFR is America’s pre-eminent think tank which is filled with State Department and CIA officials. If protests erupt over the next few months or years in Russia, the source of the demonstrations and the nature of the NGOs working in the region will have to be closely investigated considering the history of organisations such as NED.